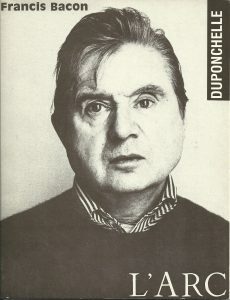 20 September. 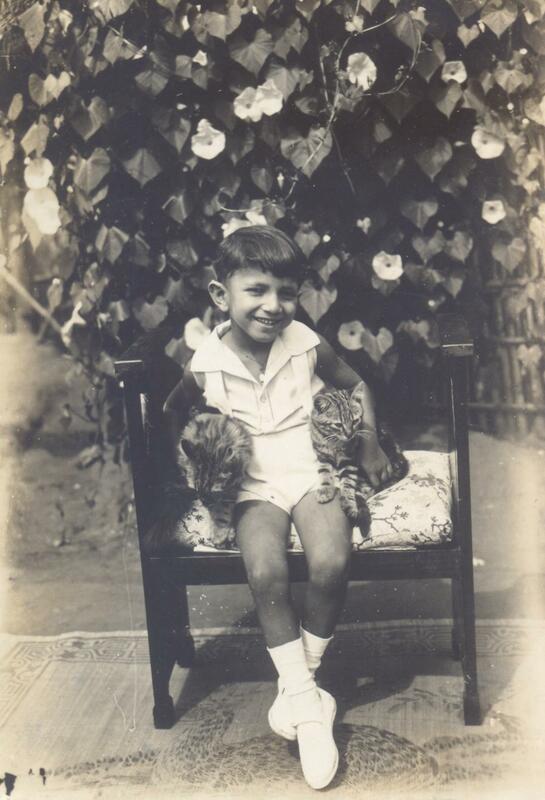 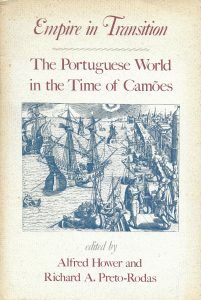 Carlos Alberto Portugal Correia de Lacerda is born on the Island of Mozambique, then a Portuguese colony, the last child of Carlos Augusto Portugal Correia de Lacerda, a colonial administrator, and Leopoldina dos Santos Madeira Correia de Lacerda. 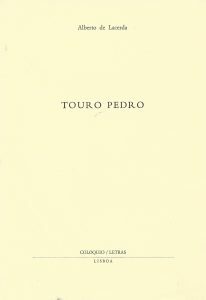 Spends his childhood in a succession of outposts in Mozambique, eventually attending secondary school in Lourenço Marques, now Maputo. 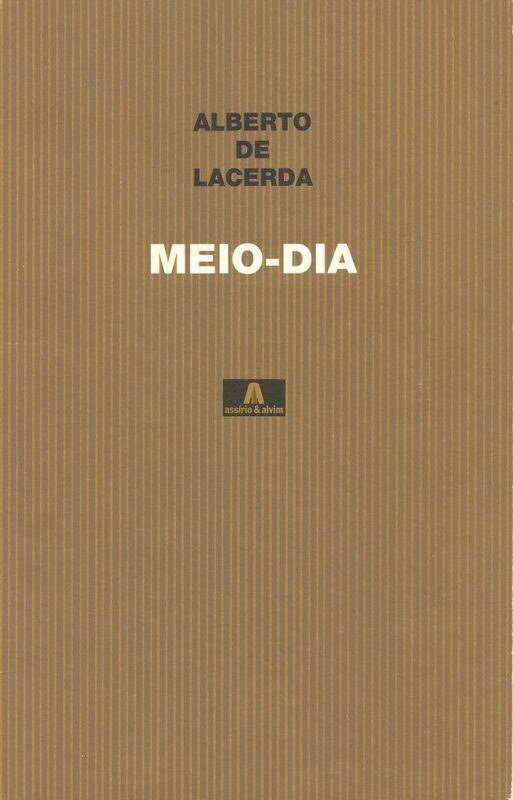 Publishes some of his poems, written at the age of 14, in a local magazine in Mozambique. 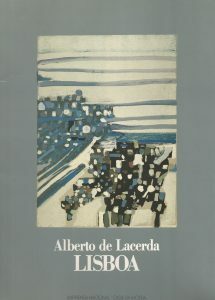 Goes to Lisbon where he attends courses of study at the Alliance Française and the British Council. 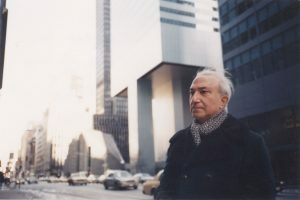 He starts his literary life, meeting and collaborating with the main cultural figures of the time. These include José de Almada Negreiros, António Pedro, João Gaspar Simões, Adolfo Casais Monteiro, José Blanc de Portugal, Fernando Lopes Graça, Ruy Cinatti, Sophia de Mello Breyner Andresen, Natércia Freire, Jorge de Sena, Fernando de Azevedo, Mário Cesariny de Vasconcelos, Alexandre O’Neill, David Mourão-Ferreira, José-Augusto França, and Júlio Pomar. 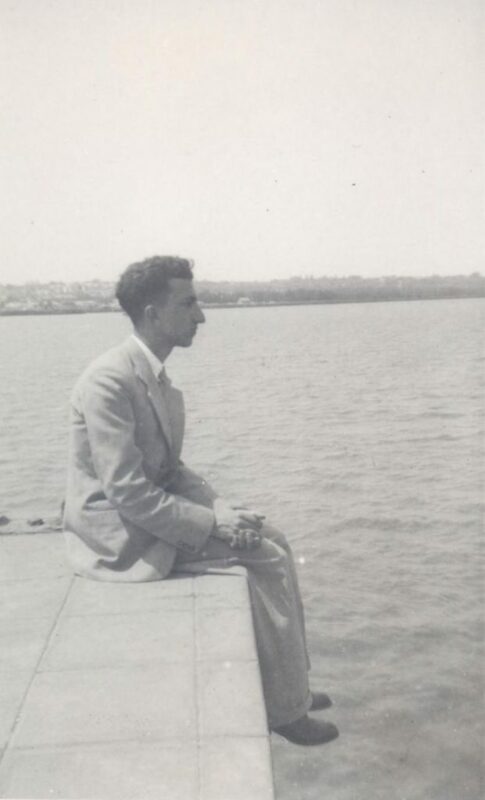 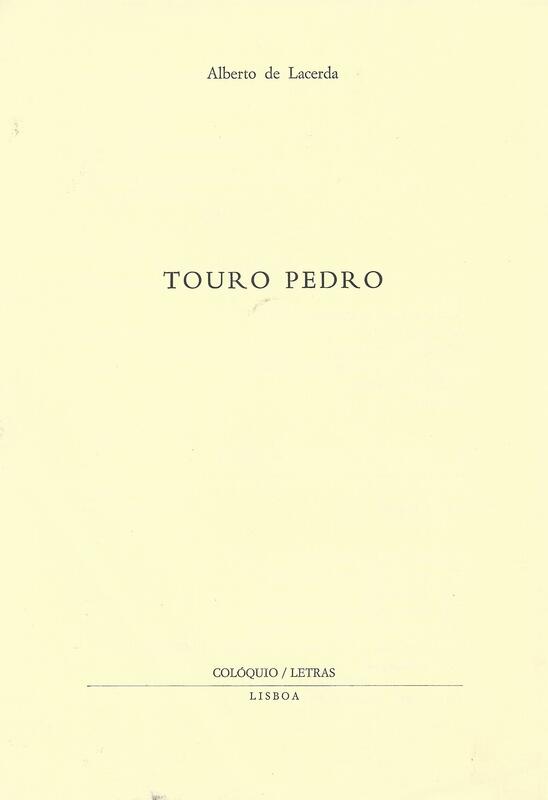 The first selection of his poems (the section called Suspension Bridge in 77 Poems) is accepted for publication in Lisbon, but remains unpublished due to the untimely death of his publisher. 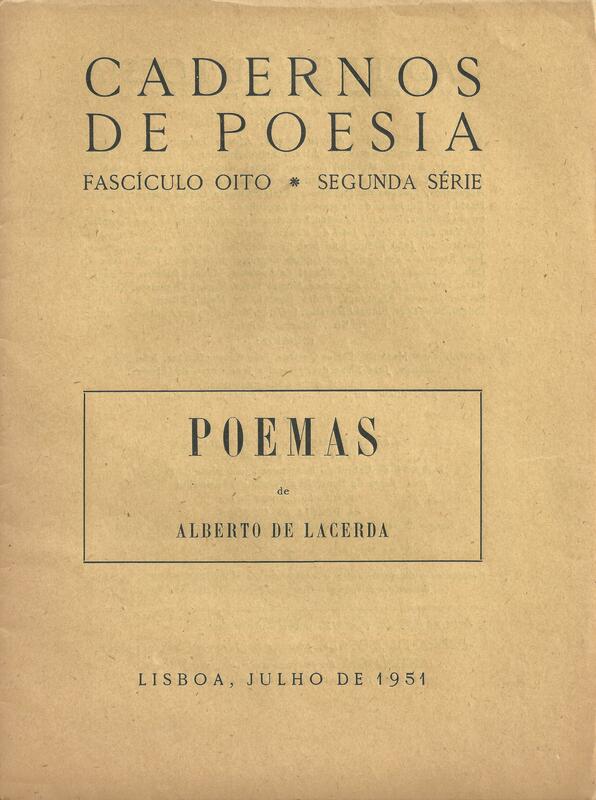 The Lisbon magazine Cadernos de Poesia devotes an entire number to his poems. Arrives in London with a BBC contract as a Portuguese language announcer. 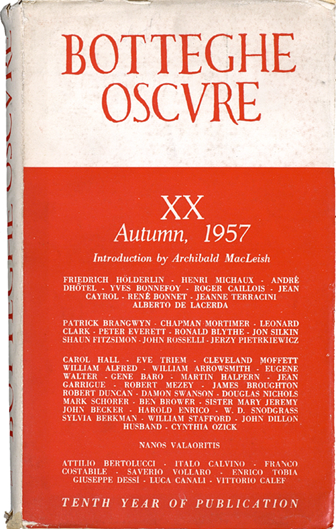 Meets Edith Sitwell and her brothers Osbert and Sacheverell, and joins her circle including Bryher, Arthur Waley, John Lehmann, and Stephen Spender among others. 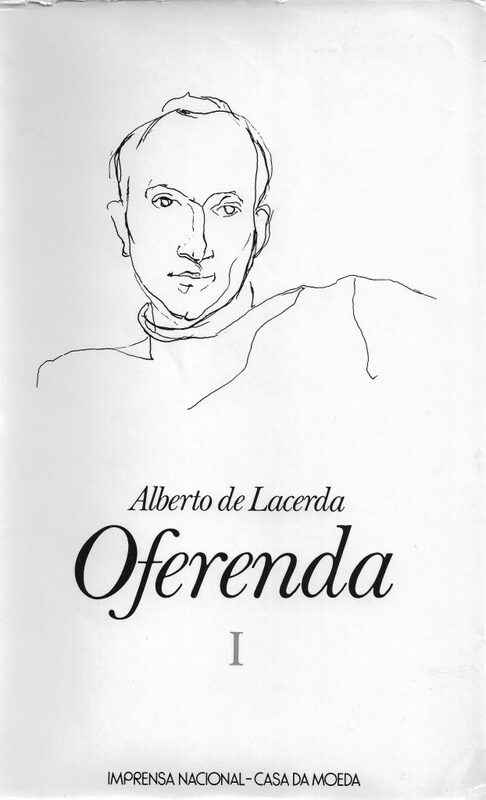 Becomes a freelance writer, journalist, and translator. 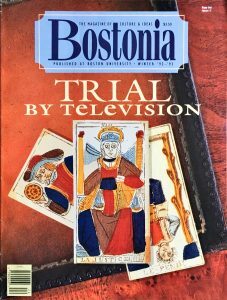 Continues collaborating with the BBC as an outside contributor. 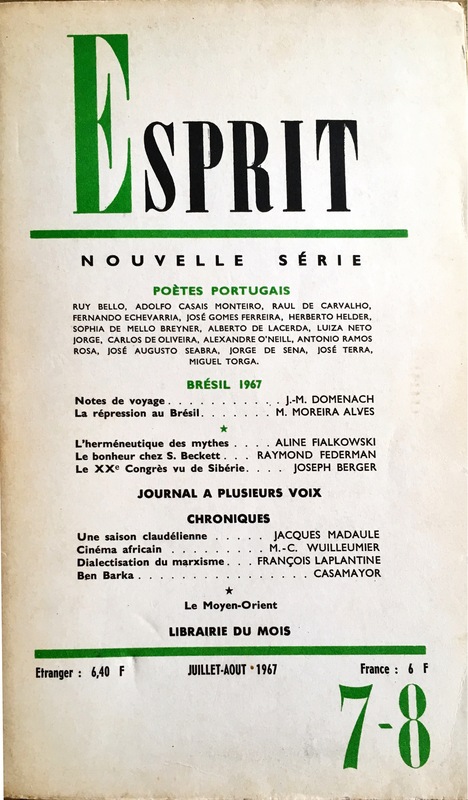 Maintains regular columns with the Lisbon newspapers Diário de Notícias and Diário Popular. 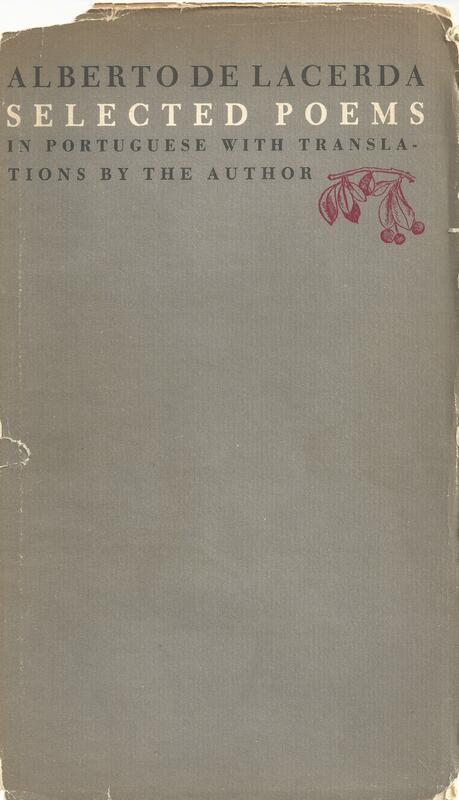 Publishes 77 Poems in a bilingual edition issued by Allen and Unwin, Bertrand Russell’s publisher in London. 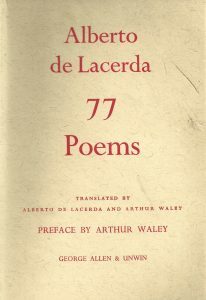 His earlier Suspension Bridge constitutes the first part of the book, which is co-translated and introduced by the poet and sinologist Arthur Waley. 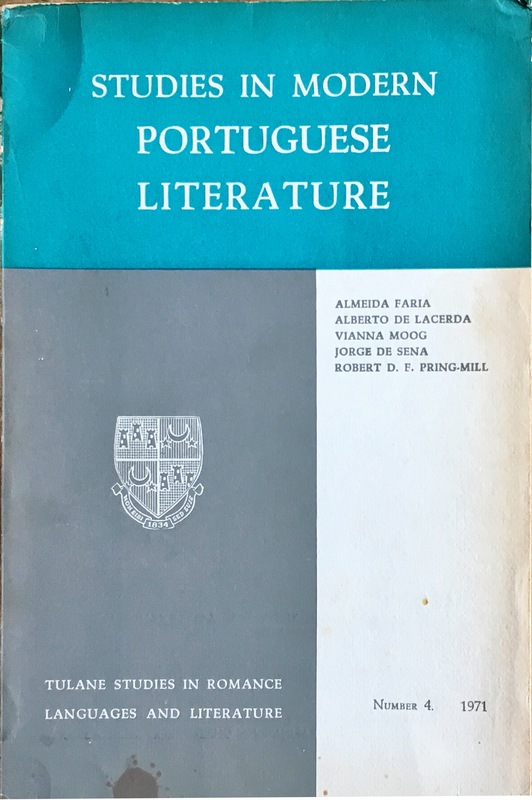 Is commissioned by the BBC Third Programme to present a survey of Portuguese poetry from Medieval to contemporary times, in which Fernando Pessoa is first introduced to the English-speaking world. 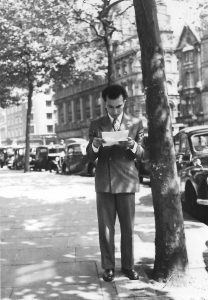 Upon hearing this programme, Luís Rosa, Fernando Pessoa’s half brother residing in England, sends a letter of appreciation. 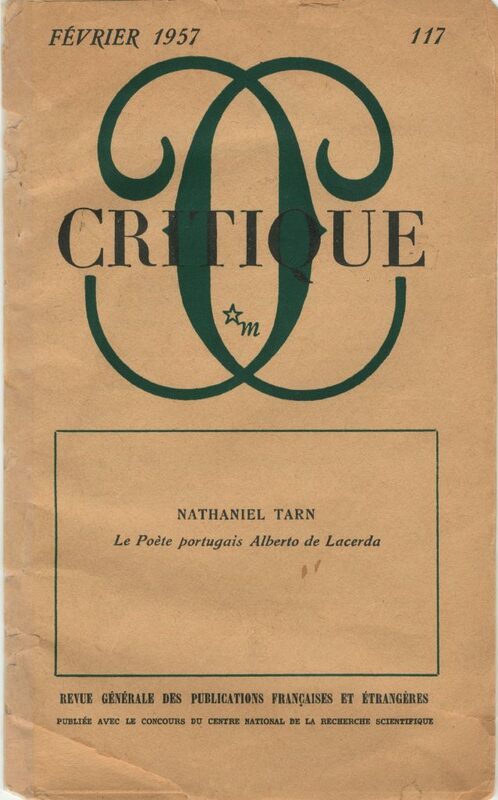 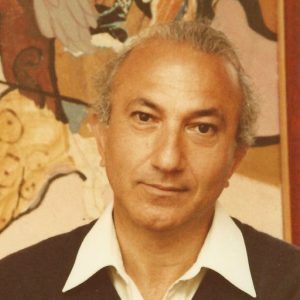 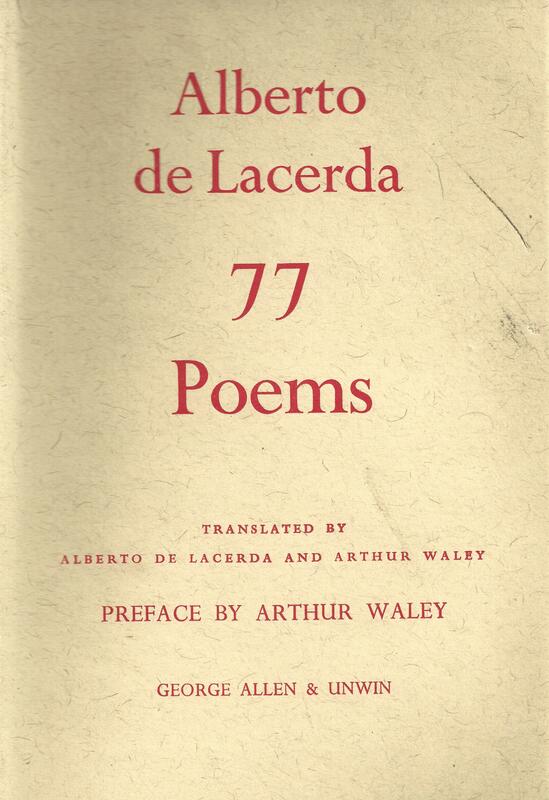 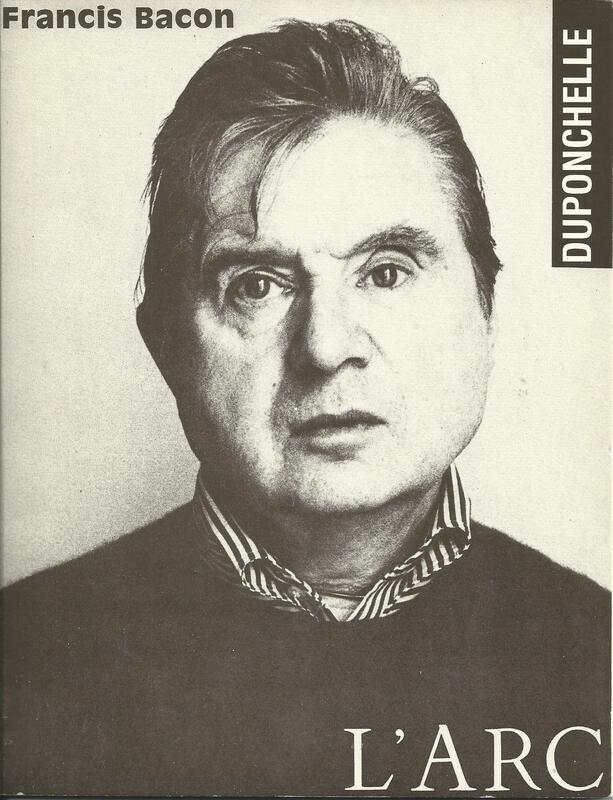 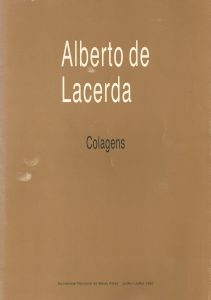 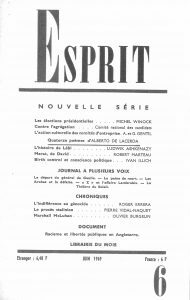 An early appraisal of Alberto de Lacerda’s poetry written in French by Nathaniel Tarn, “Le Poète portugais Alberto de Lacerda”, is published in Critique in Paris, February 1957, and is noticed by the poet René Char, whose admiration for Alberto’s poetry grows from there. 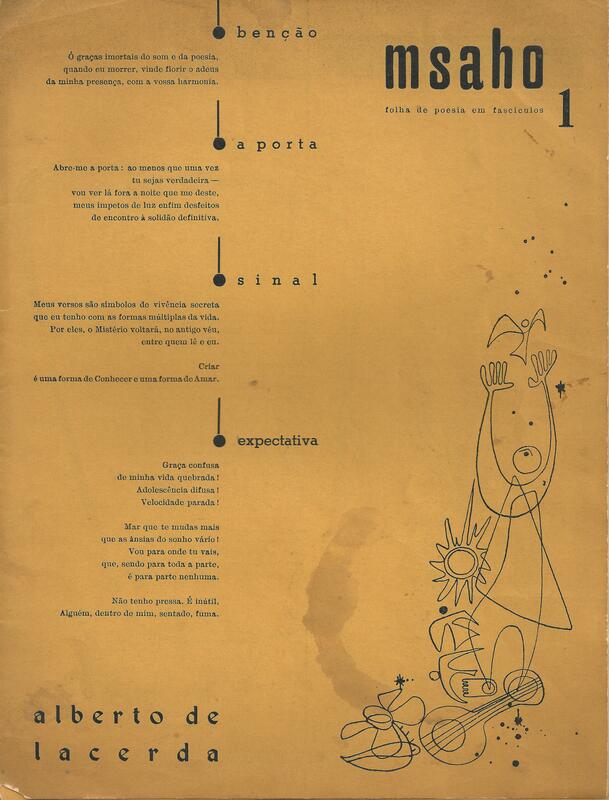 At the invitation of Manuel Bandeira, visits Brazil on a three-month reading and lecture tour. 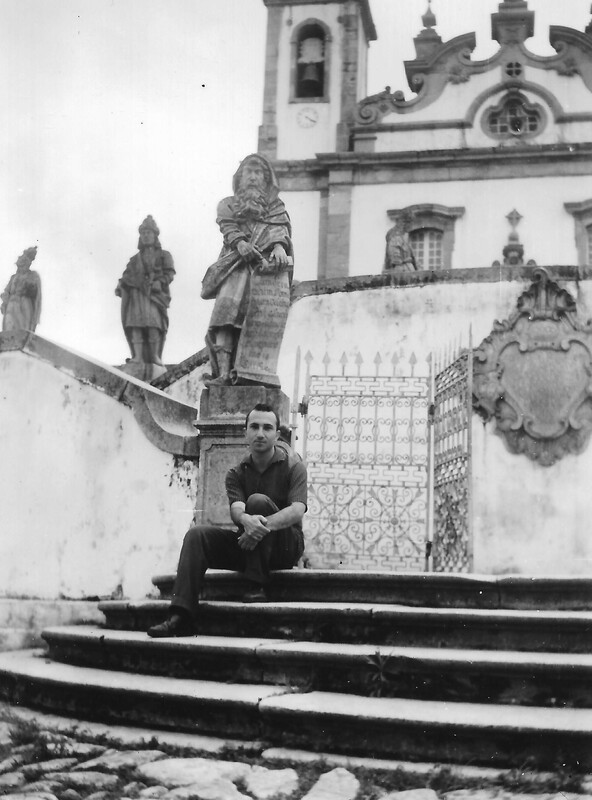 Is introduced to the main figures of Brazilian modernism, and visits Brasilia at the invitation of Oscar Niemeyer, who is overseeing its construction. 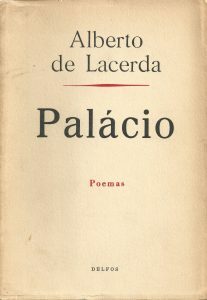 Publishes Palácio (Palace) with Delfos in Lisbon. 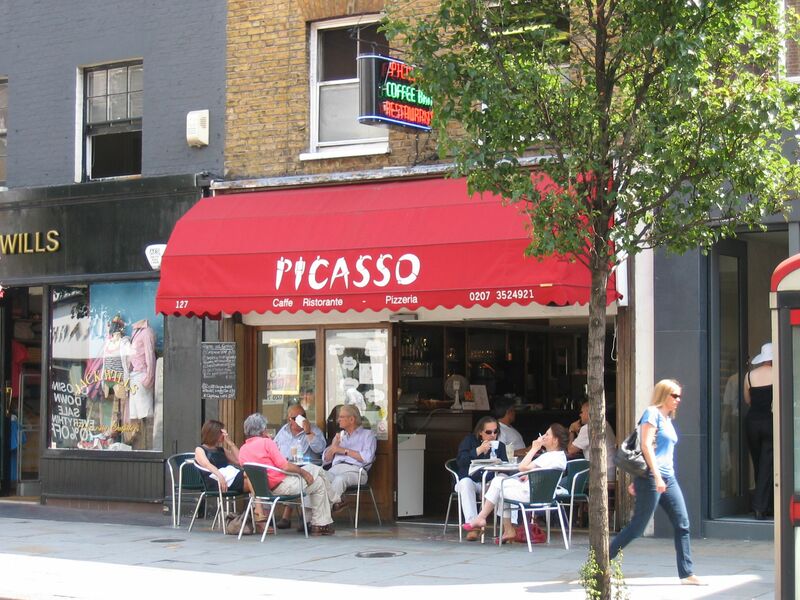 Continues to reside in London and to participate in its cultural life. 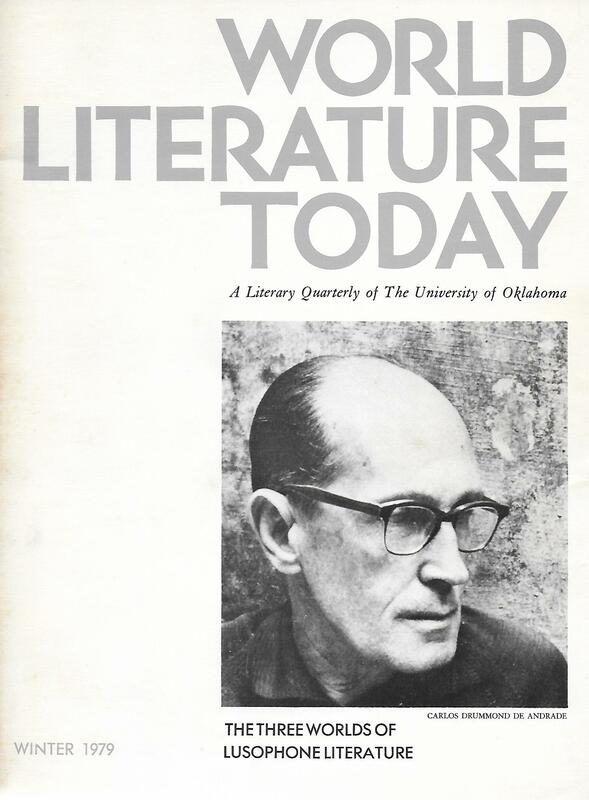 Collaborates with prestigious English and international publications. 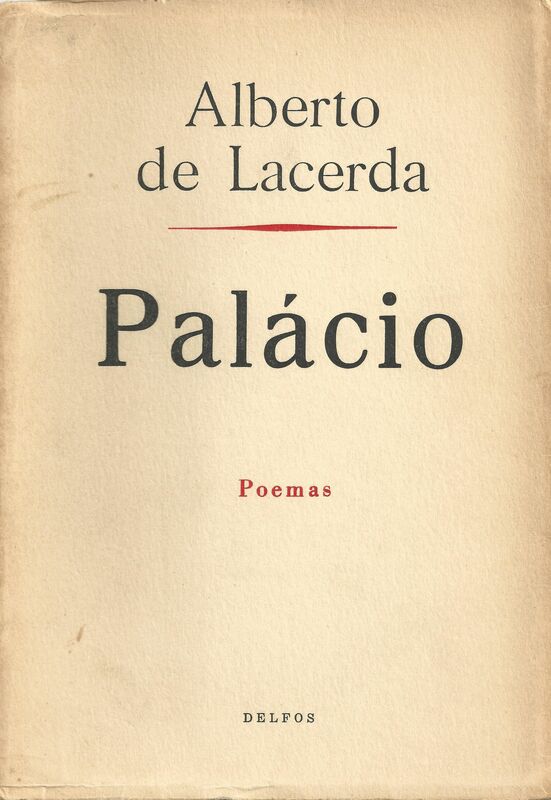 Returns to Mozambique on a farewell trip, which provides inspiration for a number of evocative poems. 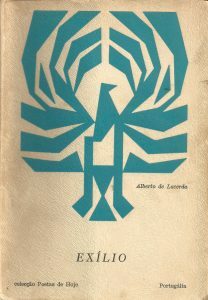 Publishes Exílio (Exile) with Colecção Poetas de Hoje, Portugália Editora, in Lisbon, with a preface by António Ramos Rosa. 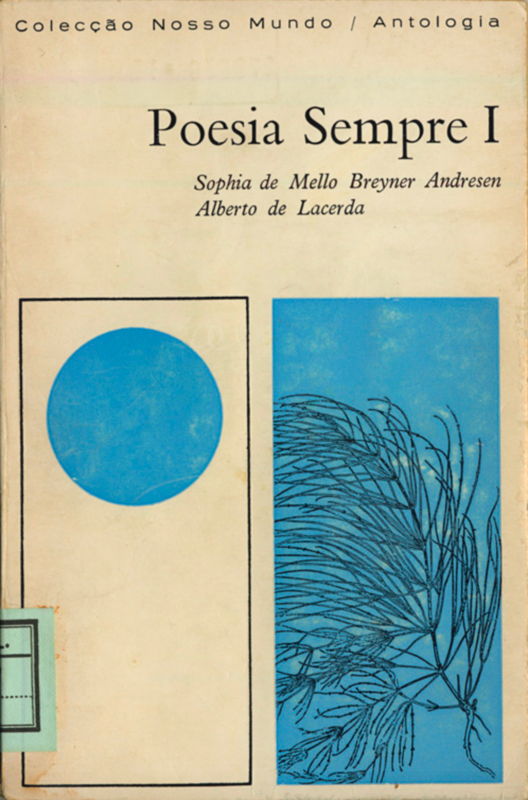 In collaboration with Sophia de Mello Breyner Andresen, edits Poesia Sempre I, an anthology of Portuguese poetry from Colecção Nosso Mundo/Antologia, Livraria Sampedro, Lisbon, 1964. 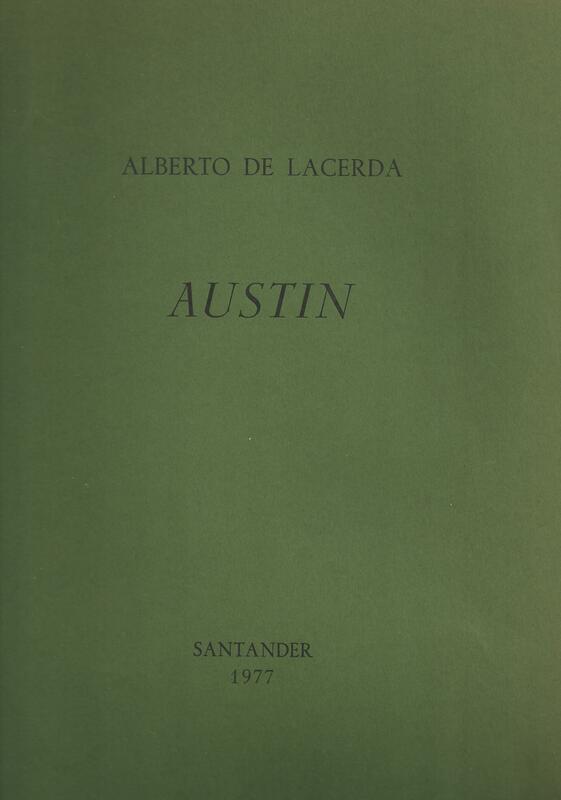 At the invitation of the University of Texas, goes to Austin where he teaches graduate and undergraduate courses in Portuguese, French and Comparative Literature. 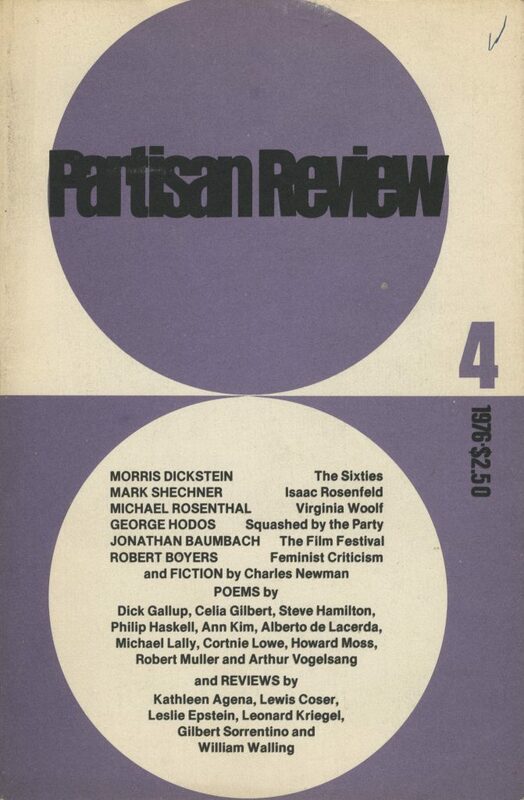 Rekindles and forms new literary friendships with Christopher Middleton, David Wevill, Roger Shattuck, and Octavio Paz. Included in the Tower Poetry Series of the Humanities Research Center of the University of Texas at Austin, publishes Selected Poems in a bilingual edition. With Rudolfo Cardona and Octavio Paz, organises and participates in an International Poetry Festival at the University. Other participants include Jorge Luis Borges, Czeslaw Milosz, Robert Duncan, Louis Zukofsky, David Wevill, and Robert Creeley. 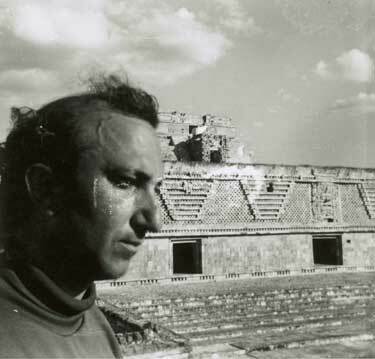 Visits Aztec and Mayan ruins in Mexico, where he writes 34 Poemas Mexicanos ou a Genealogia do Tempo (34 Mexican Poems or a Genealogy of Time), which remains unpublished. 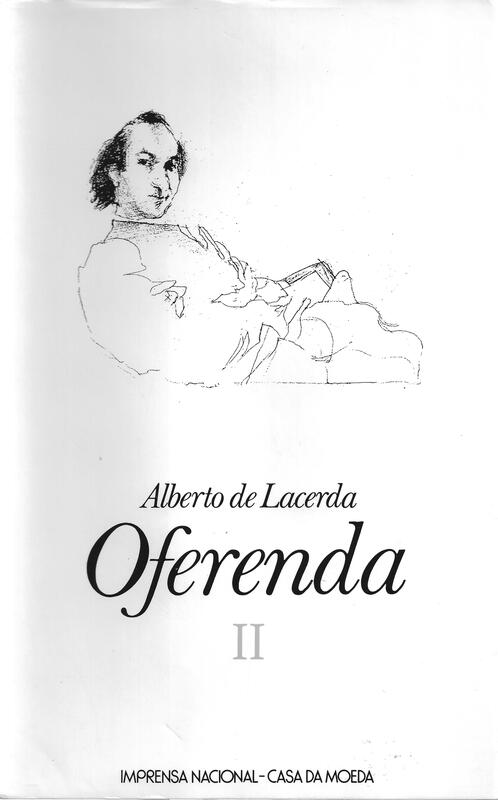 Returns to London where he continues to work freelance. After decades of life in rented rooms, mainly in Chelsea, he moves to his first and only apartment, in Battersea, located at 48A Primrose Mansions, Prince of Wales Drive. 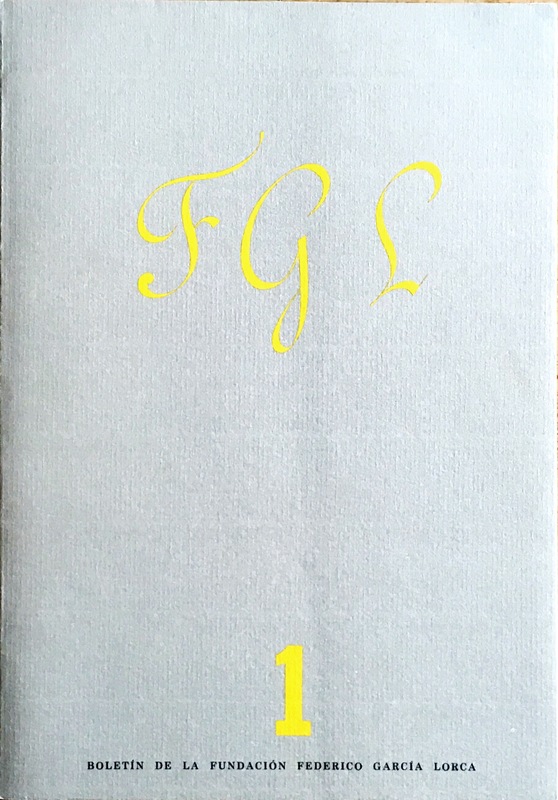 This address lies between the Chelsea Bridge and Albert Bridge. 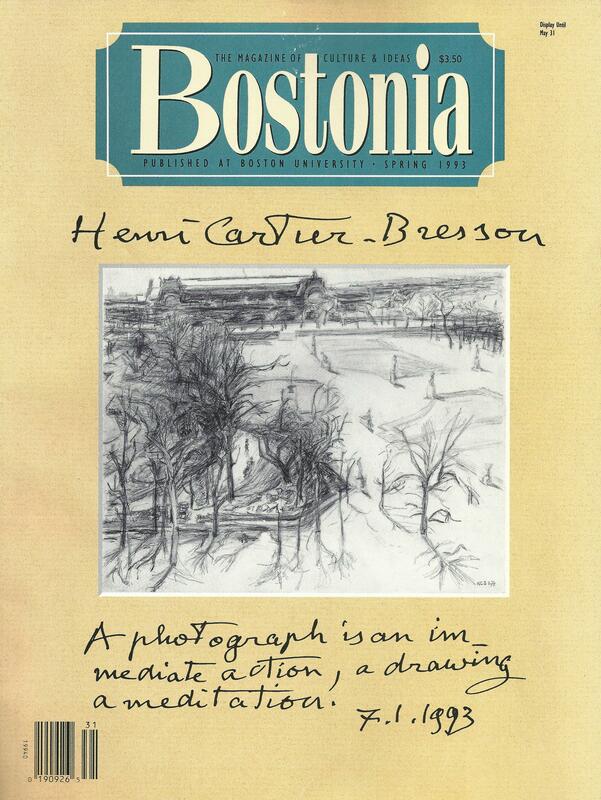 Accepts an invitation to lecture at Boston University as Professor of Poetry. 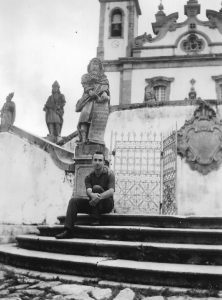 Stays initially in the home of Roman Jakobson. 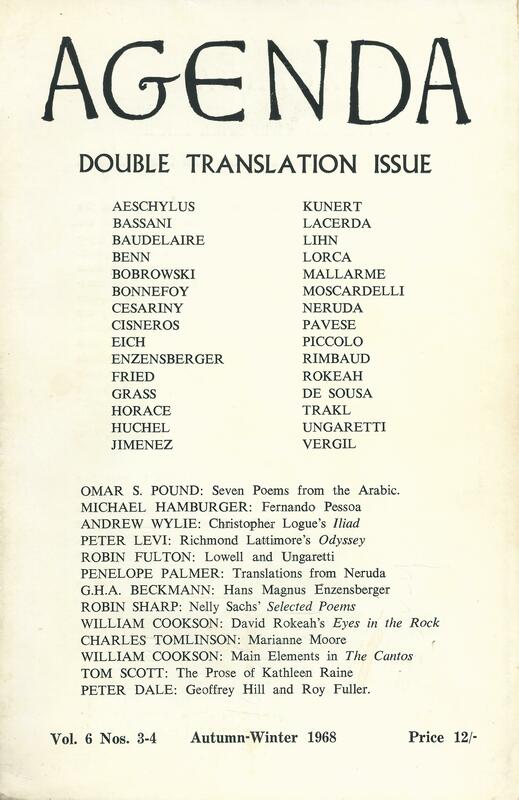 Reencounters Octavio Paz and Jorge Guillén, and establishes new friendships with East Coast poets, including Anne Sexton and Elizabeth Bishop. Publishes poetry and articles on fine arts in national and international journals and gives public readings and lectures. 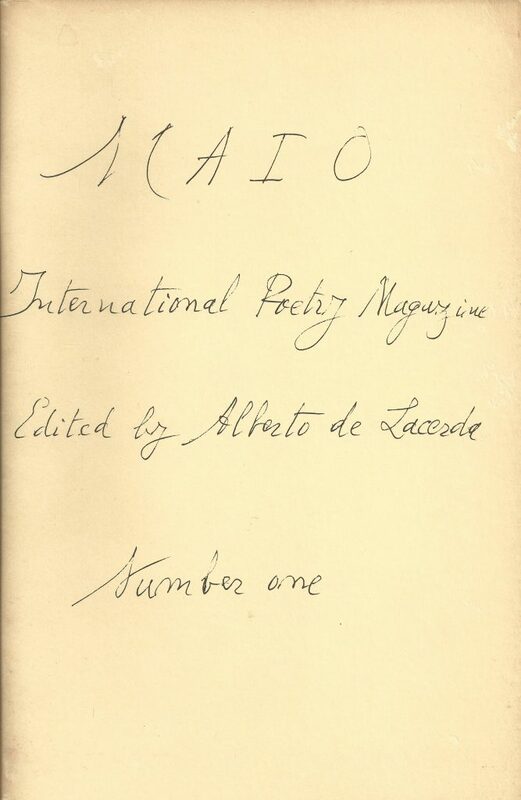 Launches and edits Maio – International Poetry Magazine, with original poems in four languages. 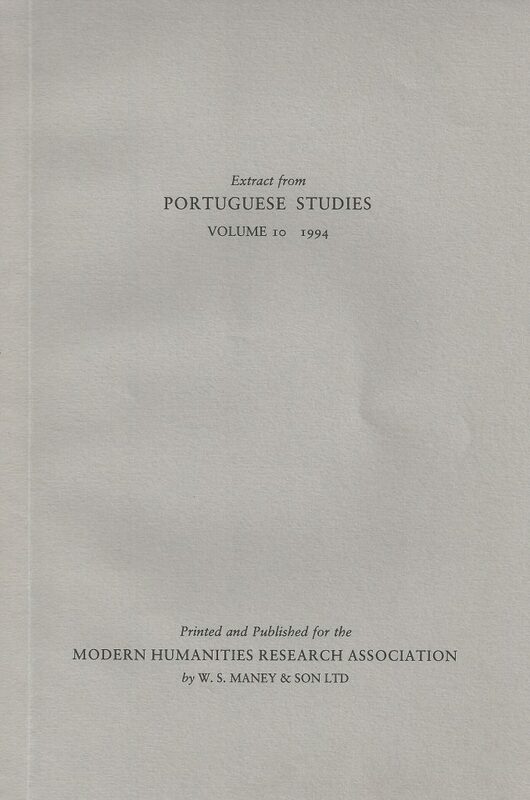 Collaborators in this single issue are Jorge Guillén, Murilo Mendes, Octavio Paz, Anne Beresford, Mário Cesariny, Júlio Pomar, Dominique Fourcade, Celia Gilbert, Ben Norwood, Ruth Lepson, Claude Royet-Journoud, Augusto de Campos, David Wevill, Luís Amorim de Sousa, and David Steiling. 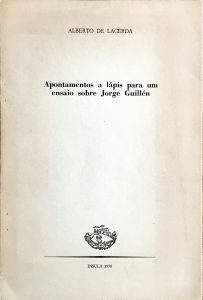 The cover lettering is by Jorge Guillén. 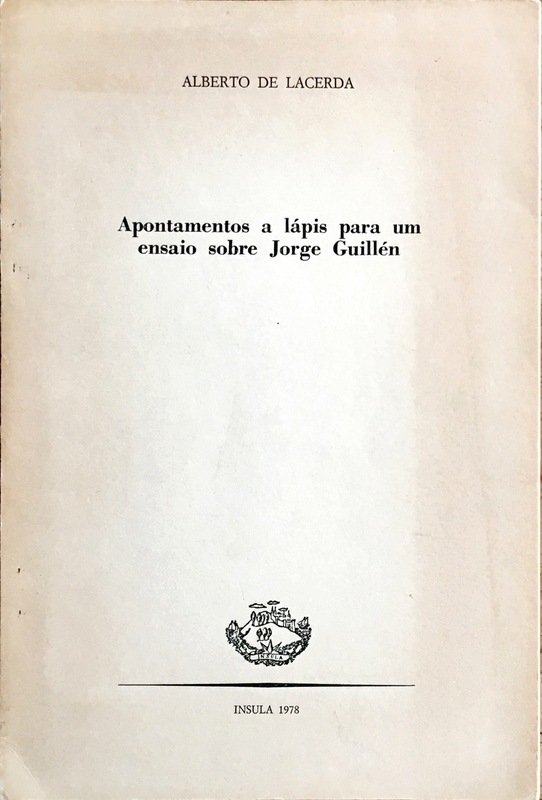 Becomes the first Portuguese-language writer to give a poetry reading at the Library of Congress in Washington, DC, and records a selection of poems for their archives. Conducts a graduate course on Masterpieces of Portuguese and Brazillian Poetry at Columbia University, New York. 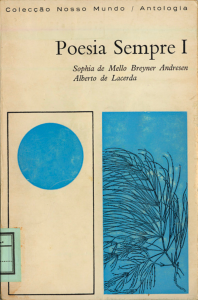 Selects and introduces “Modern Portuguese Poetry” anthology for The Journal of the American Portuguese Society, Vol. XII, No. 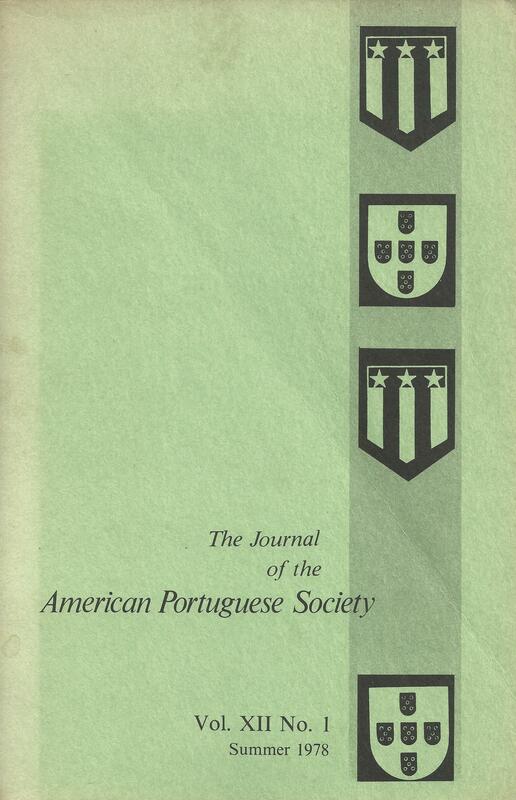 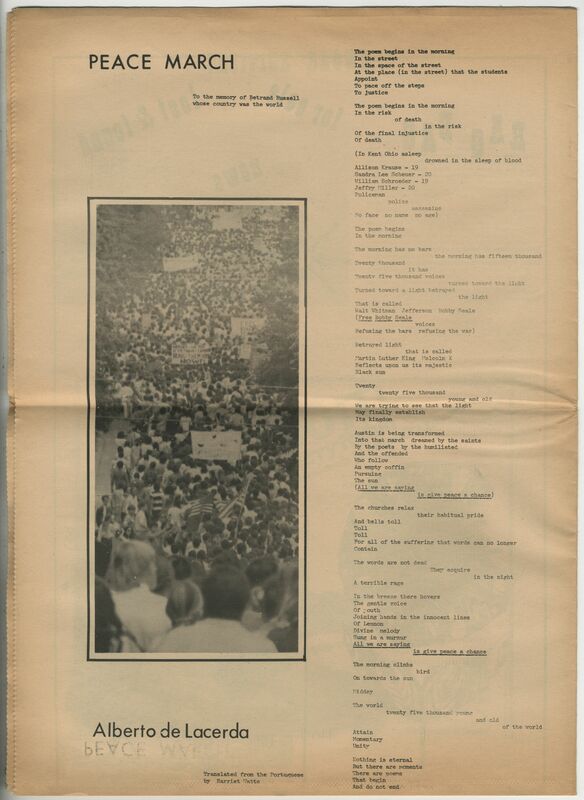 1, New York: The American Portuguese Society, Summer 1978. 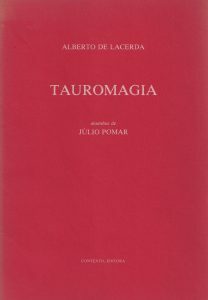 Publishes Tauromagia with Contexto in Lisbon, with illustrations by Júlio Pomar. 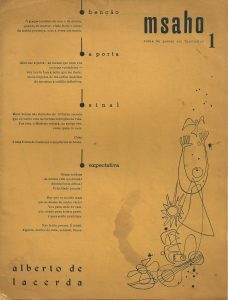 Publishes Oferenda I (Offering I) with Imprensa Nacional-Casa da Moeda in Lisbon, with a cover by Arpad Szenes. 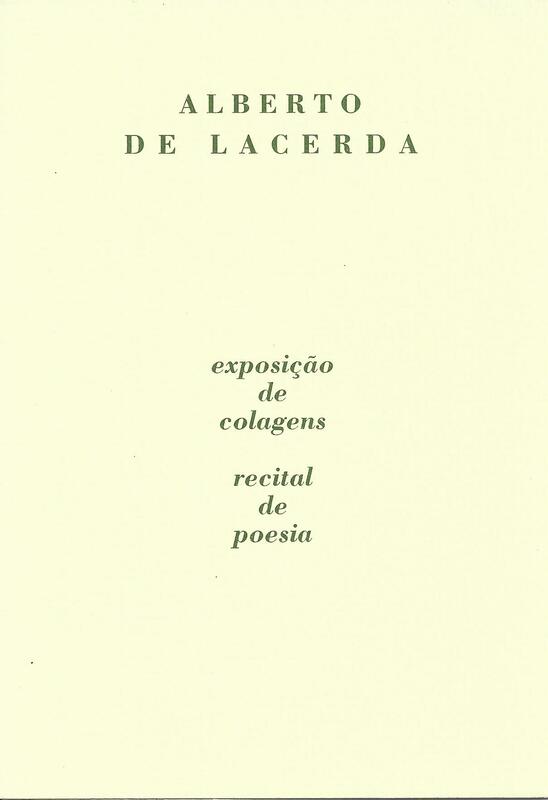 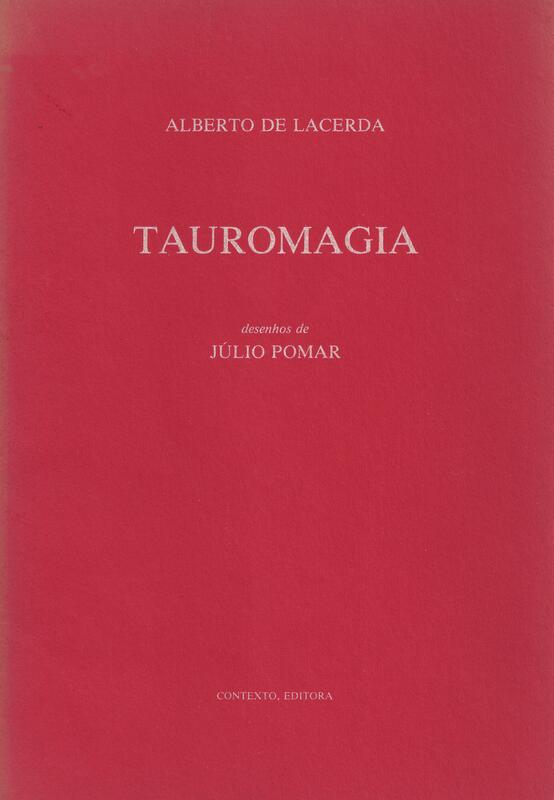 This volume combines his previous books 77 Poemas, Palácio, Tauromagia, and Exílio. 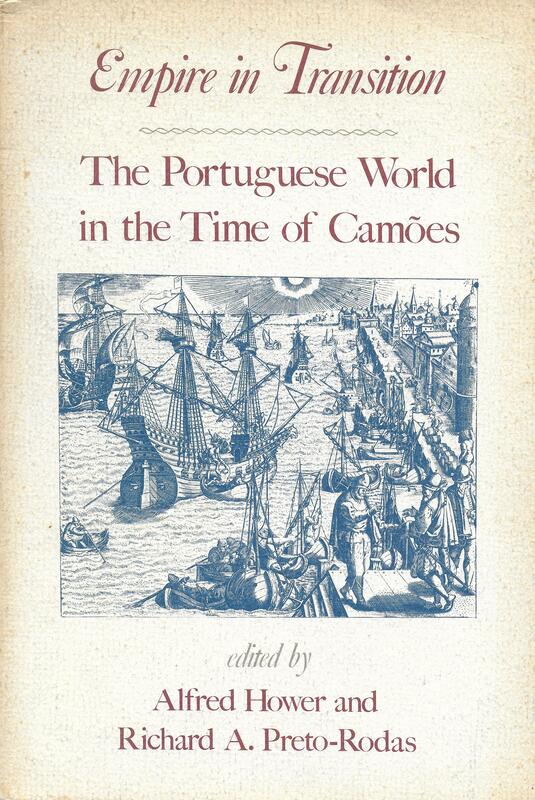 Two previously unpublished books, Lisboa (Lisbon) and Cor: Azul (Colour: Blue), are added to this volume. 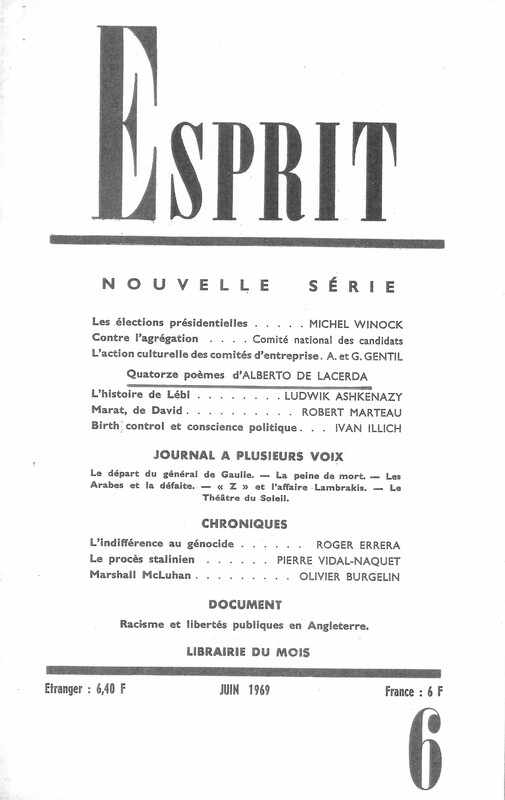 From this point IN-CM becomes his regular publisher. Shows choices from his private collection at the Modern Art Centre of the Calouste Gulbenkian Foundation in Lisbon. 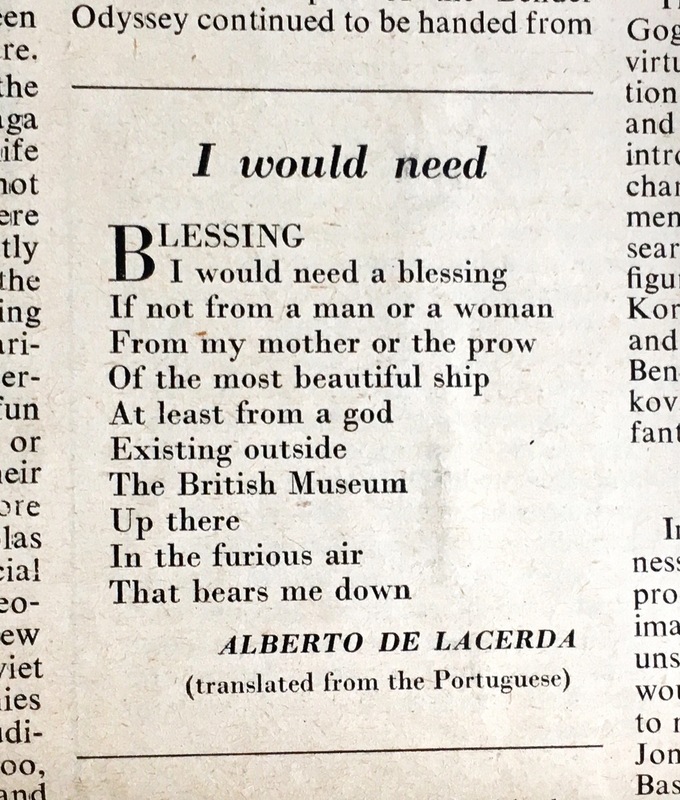 This exhibition, “Alberto de Lacerda – O Mundo de um Poeta” (Alberto de Lacerda – A Poet’s World), is acclaimed in Lisbon artistic circles. 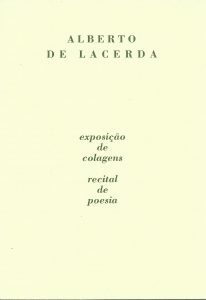 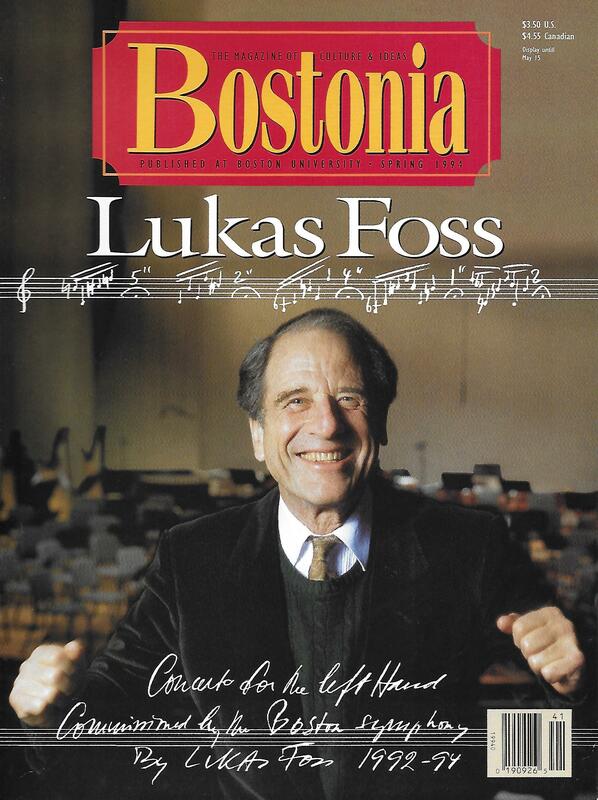 Accompanying texts to the catalogue are written by Luís Amorim de Sousa, Eduardo Lourenço, António Ramos Rosa, and John McEwen. 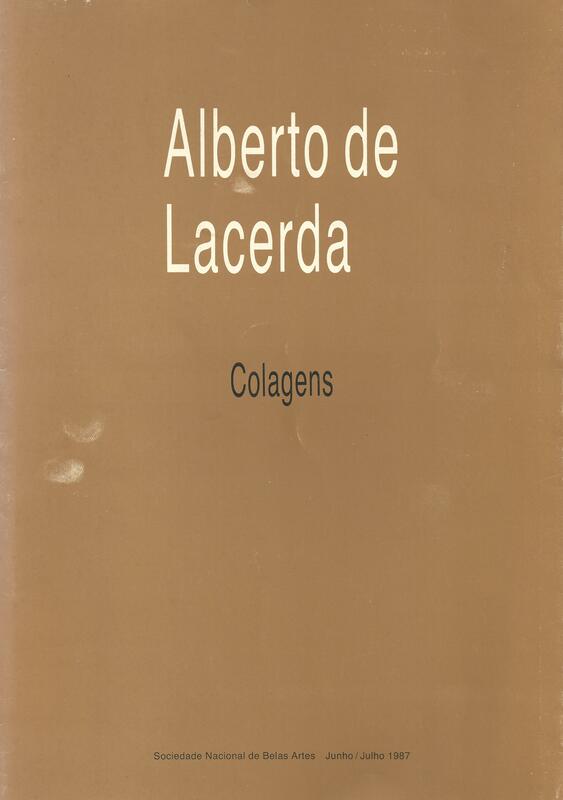 Exhibits his collages at the Sociedade Nacional de Belas Artes, Lisbon. 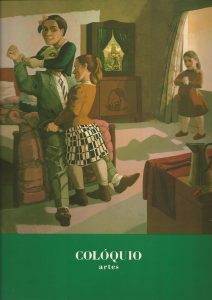 Publishes Elegias de Londres (London Elegies), with a cover by Paula Rego, with whom he also maintains a close friendship. 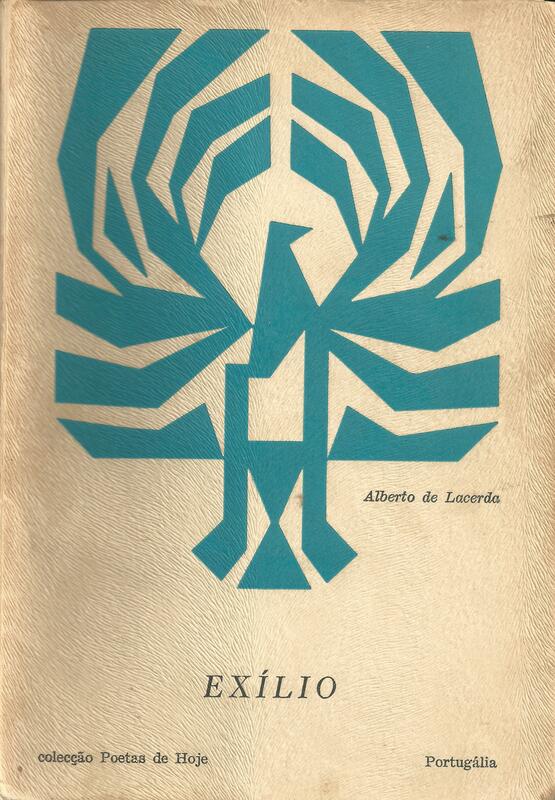 Publishes Lisboa, with a cover by Vieira da Silva. 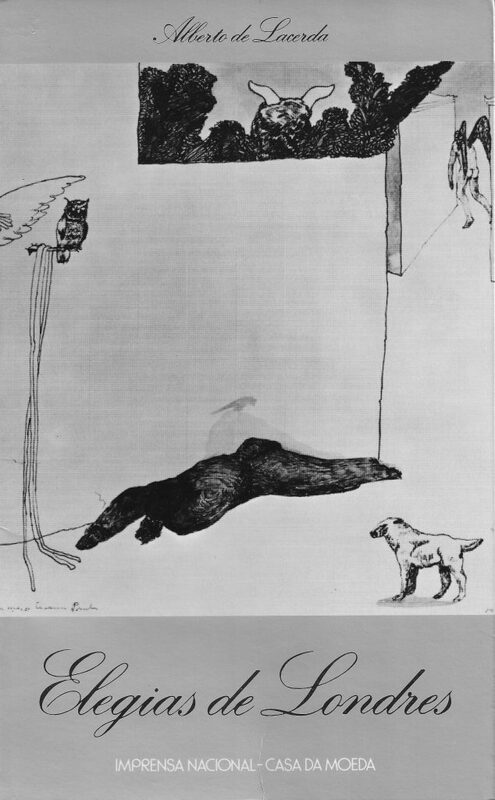 A numbered edition includes a silkscreen by Vieira da Silva. 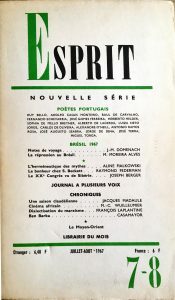 Publishes Meio-Dia (Midday) with Assírio & Alvim in Lisbon, which receives a P.E.N. 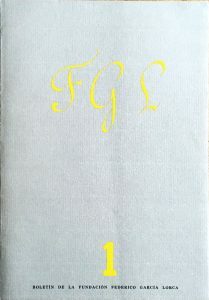 Club award. 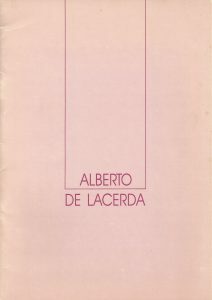 Exhibits his collages at the Arcada Gallery of Art in Estoril, Portugal. 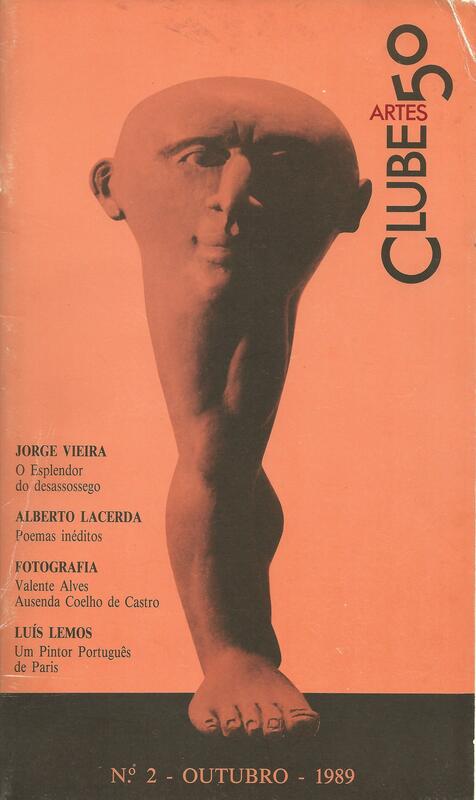 Exhibits his collages and gives a poetry reading at the Clube Cinquenta in Lisbon. 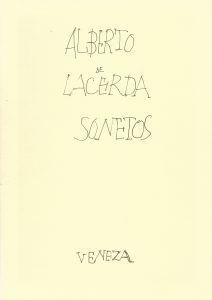 Has a private edition of Sonetos (Sonnets) printed in Venice by Centro Internazionale della Grafica, with a cover by Vieira da Silva. This book had no commercial distribution. 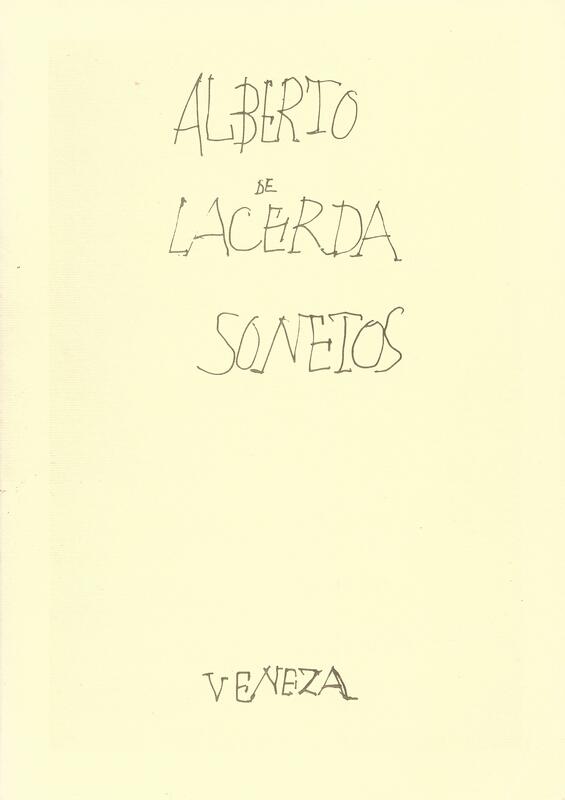 Publishes Oferenda II (Offering II), with a cover by Júlio Pomar, gathering three unpublished books written between 1963 and 1970: Opus 7, Ariel e a Luz (Ariel and the Light) and Mecânica Celeste (Celestial Mechanics). 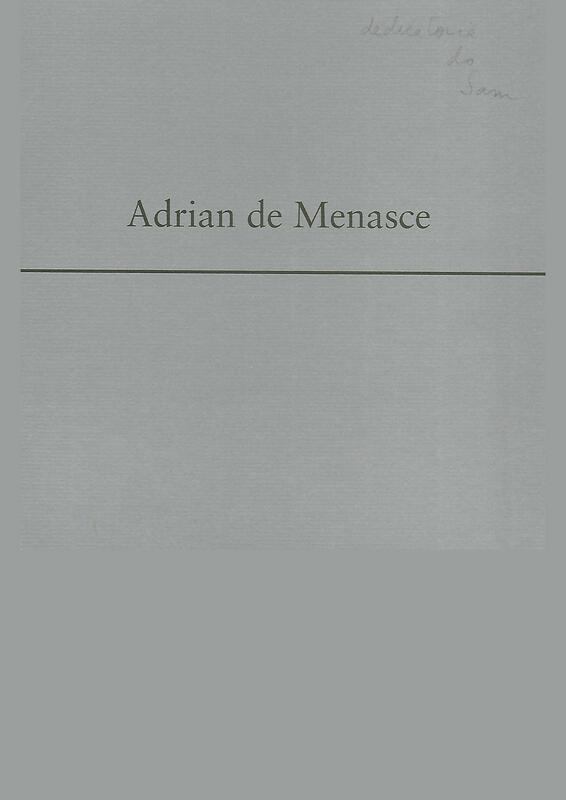 Writes an obituary for Adrien de Menasce, an artist friend, for the Independent on 18 April 1995. 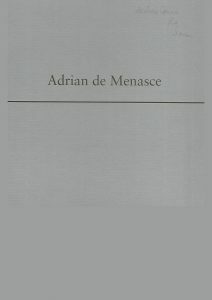 Using his contacts in the art world, promotes a memorial exhibition for Adrien de Menasce at The Mayor Gallery in Cork Street, London. The accompanying catalogue, Adrian de Menasce, 1925-1995: Late Oil Paintings, contains texts by John McEwen and Alberto de Lacerda. 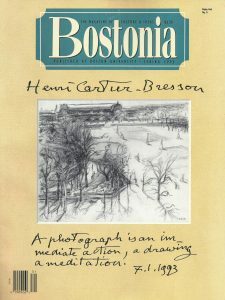 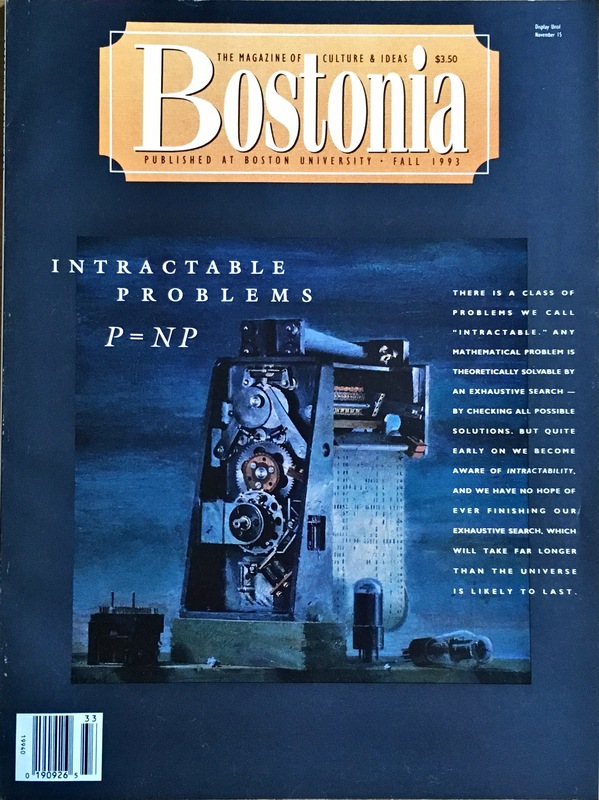 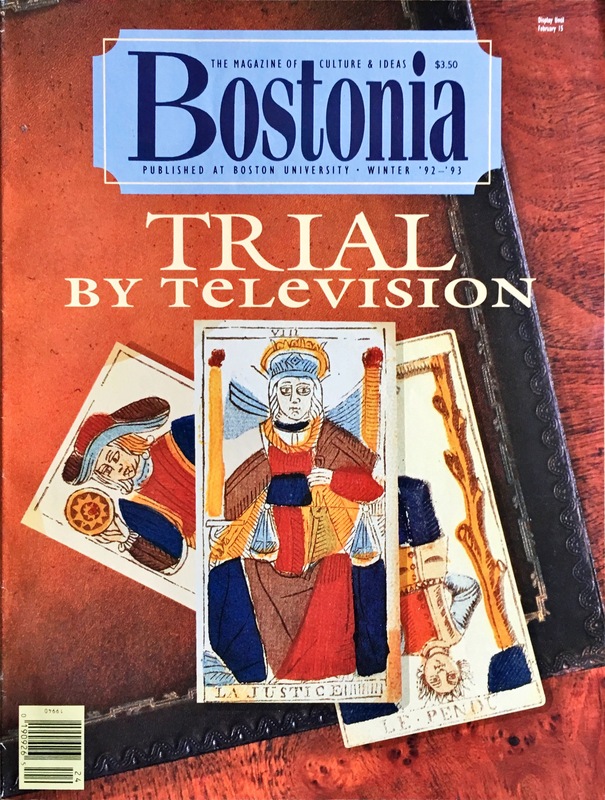 Retires from Boston University as Professor Emeritus of Poetics. 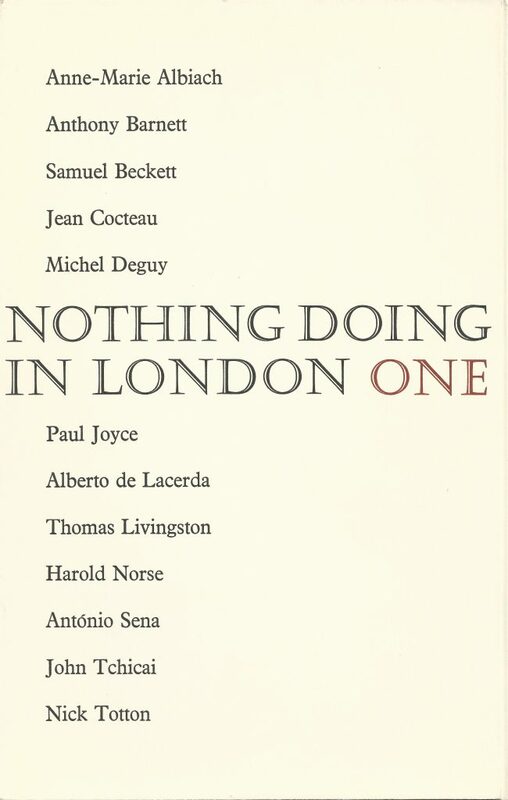 Returns definitively to London and its cultural life. 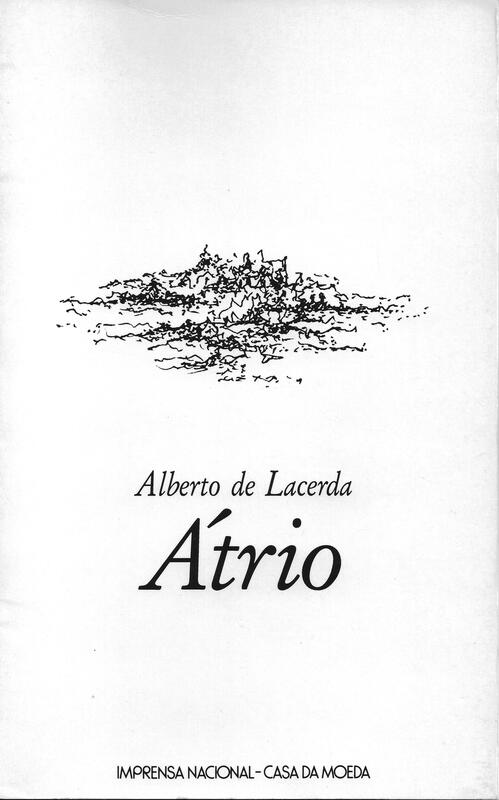 Publishes Átrio (Atrium), with a cover by Adrien de Menasce. 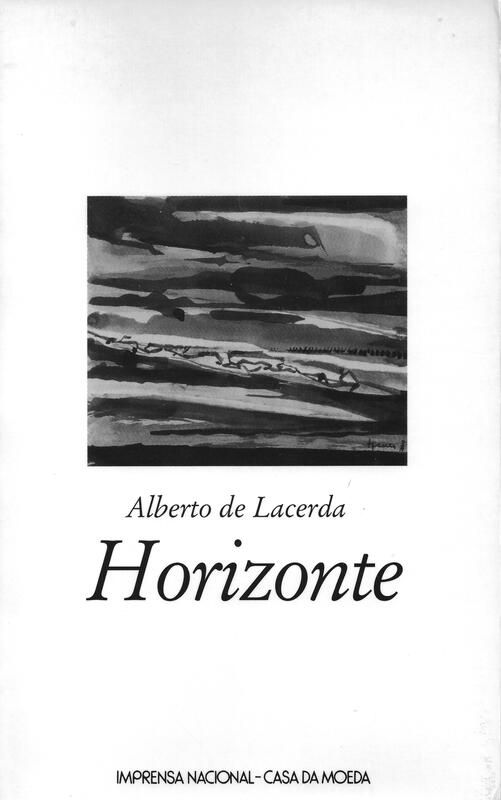 Publishes Horizonte (Horizon), with a cover by Arpad Szenes. 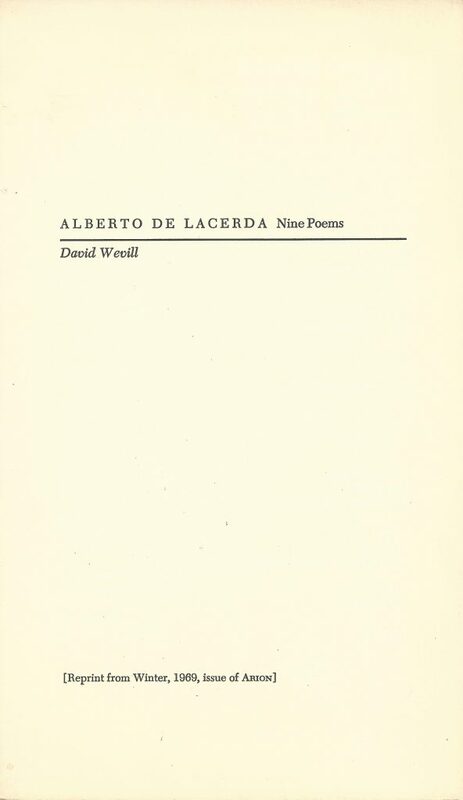 His last books are received in silence. 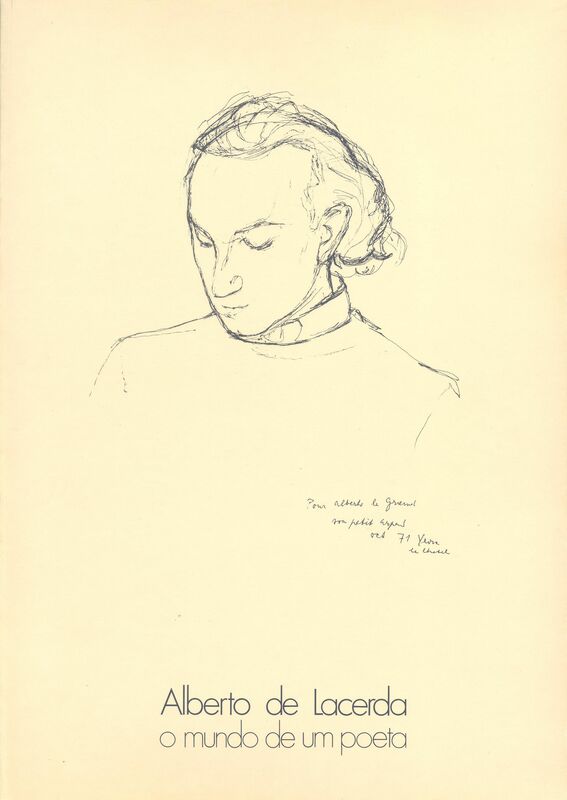 Although increasingly isolated, he continues to frequent the theatres, concerts, museums, galleries, antiquarians, and bookshops of London. 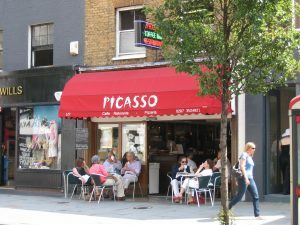 His daily outings continue to start at the Picasso Cafe, King’s Road, Chelsea. 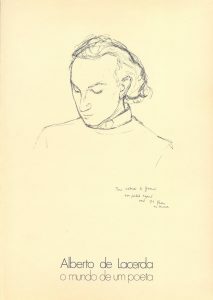 After being found in a coma in his apartment in Primrose Mansions he is brought to the Chelsea and Westminster Hospital where he dies of stroke and heart failure on 27 August. 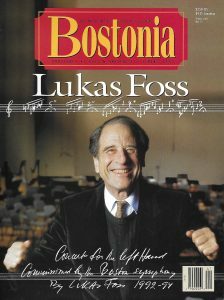 He is buried in Brompton Cemetery in Chelsea. 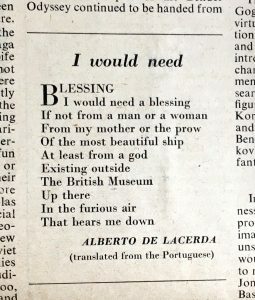 John McEwen’s obituary of Alberto de Lacerda Acclaimed poet, artist and critic appears in the 4 September 2007 Independent. Luís Amorim de Sousa’s obituary of Alberto de Lacerda appears in Times Online on 27 September. Alberto was a compulsive and increasingly despondent Times reader until the end of his days.